After missing a couple of years I was very glad to make it back to the National Digital Forum in Wellington. NDF is my favourite conference in the world — always chock full of inspiring keynotes, welcoming colleagues, and interesting ideas. You should all go. I’ve previously posted by own talk The Perfect Face (and the video), but all the sessions were filmed, so you can catch up on the whole conference via the NDFNZ YourTube channel. While I was in Wellington, I stopped in for a chat with Charlotte Macdonald and Rebecca Lenihan at the University of Victoria. They’re embarking on a fascinating project called Soldiers of Empire which is trying to find the ‘men behind the guns’ and explore the the garrison culture of British imperial forces in the 19th century. The project has joined Twitter, so follow @empiresoldiers for updates. 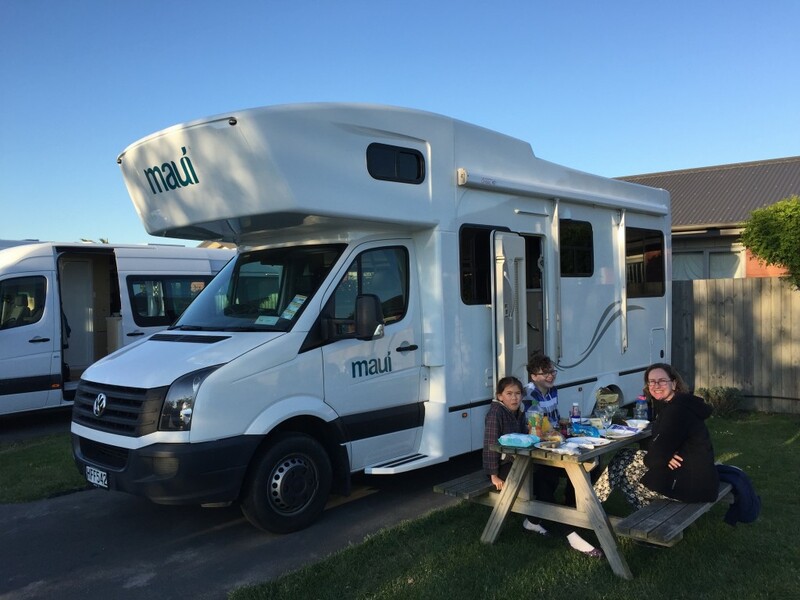 I then flew down to Christchurch to meet up with my family and embark on our campervan adventure. As well as walking in the shadow of Aoraki/Mt Cook, exploring Lord of the Rings locations, visiting the steampunk capital of NZ, and trekking with llamas, we squeezed in a couple of academic interludes. On 21 October I dropped in on James Smithies at the University of Canterbury to give a talk entitled (Towards) a Manifesto for Tactical DH Research Infrastructure. A week later Kate and I headed to the University of Otago to meet up with Angela Wanhalla at the Centre for Research on Colonial Culture. I spent a couple of hours sharing digital tools, projects and ideas with a keen group of historians, librarians and IT folk (slides and links here). I kicked off the seminar with a quick bout of headline roulette, using the New Zealand edition I’d hacked together in the campervan a couple of nights before. 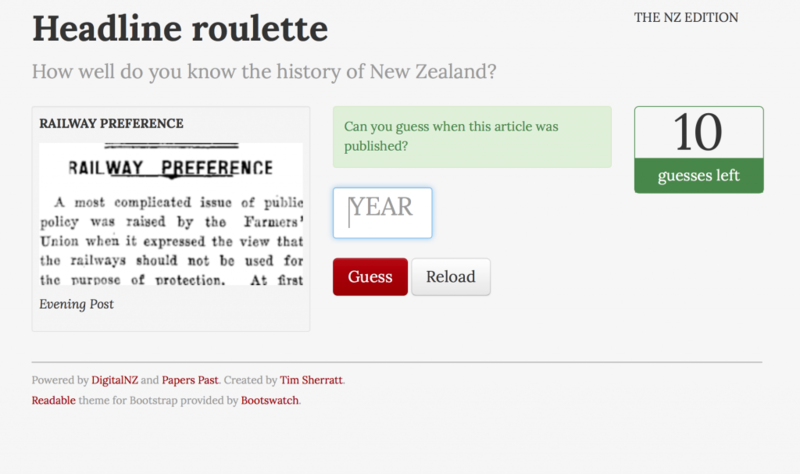 It retrieves articles from Papers Past via the DigitalNZ API. We were all rather sorry to head back to Australia. Thanks New Zealand for your friendliness, scenery and famous pies. We’ll be back!